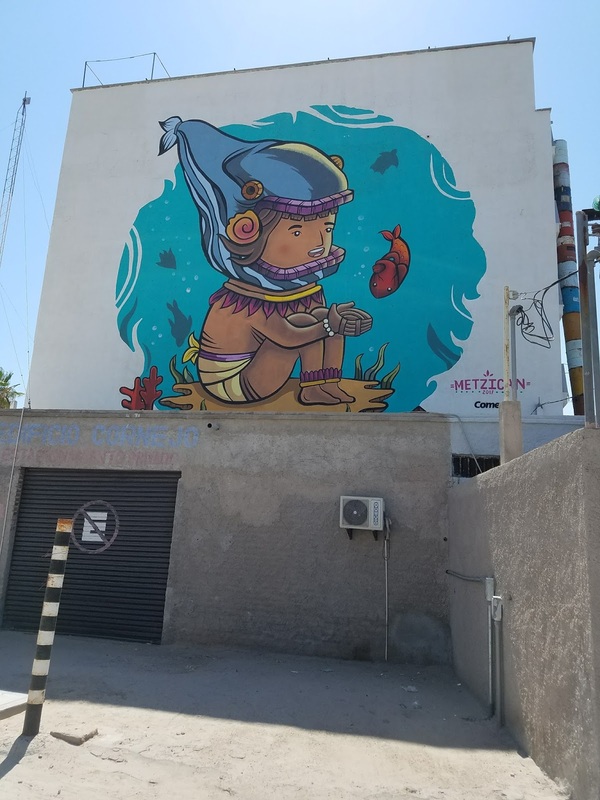 The collection of murals here in La Paz are intriguing. 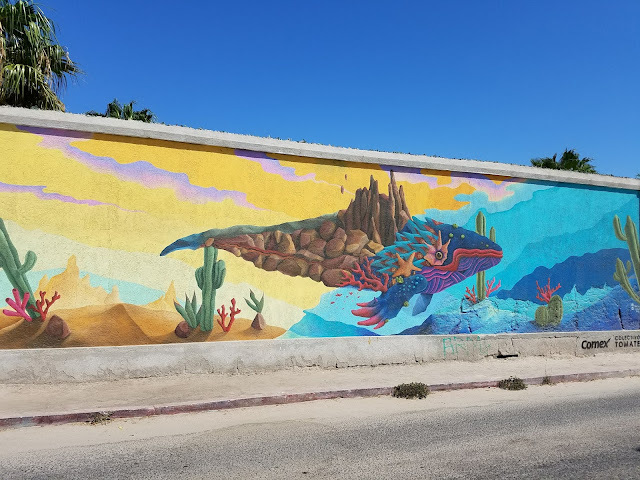 I love the use of bold colors and stories they communicate. 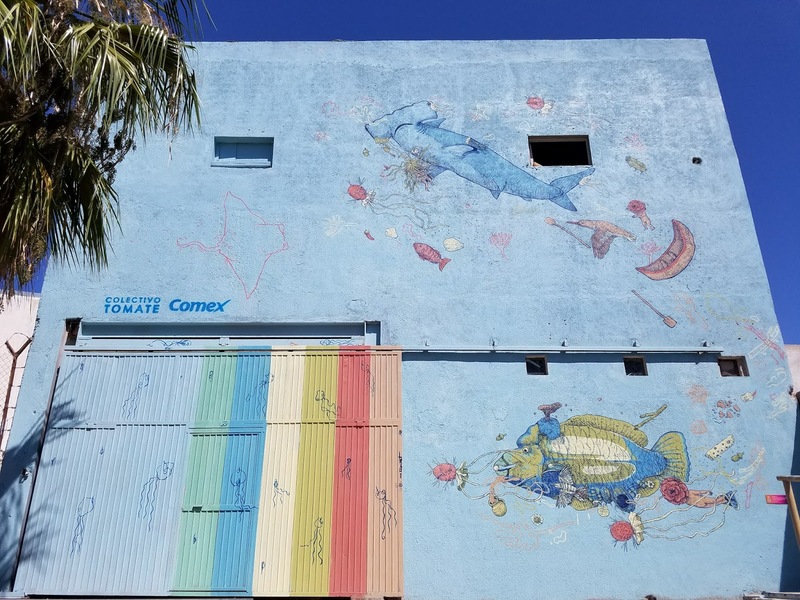 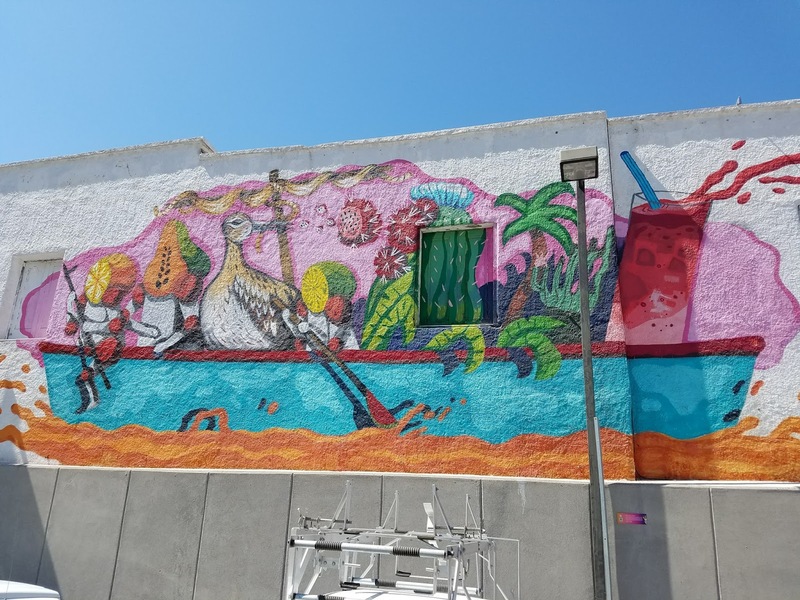 It's always a fun surprise to turn a corner and see art painted on the sides of otherwise ordinary buildings. 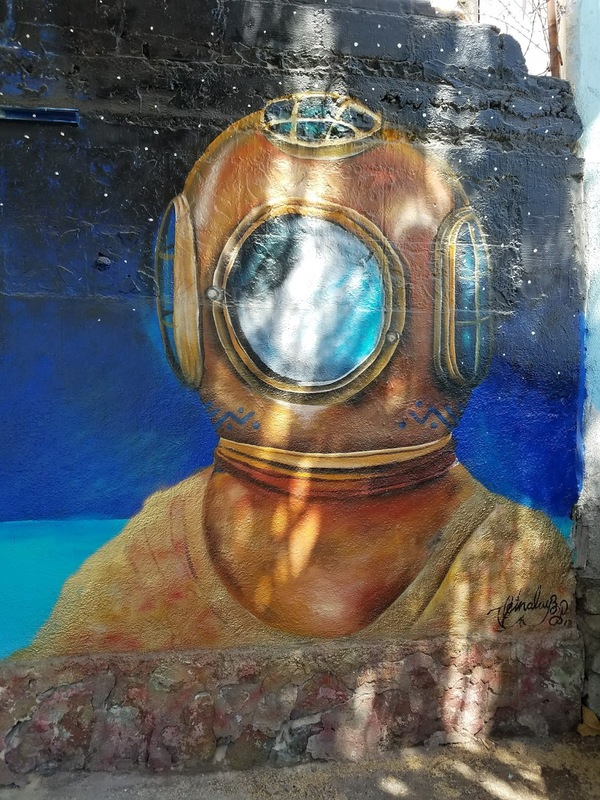 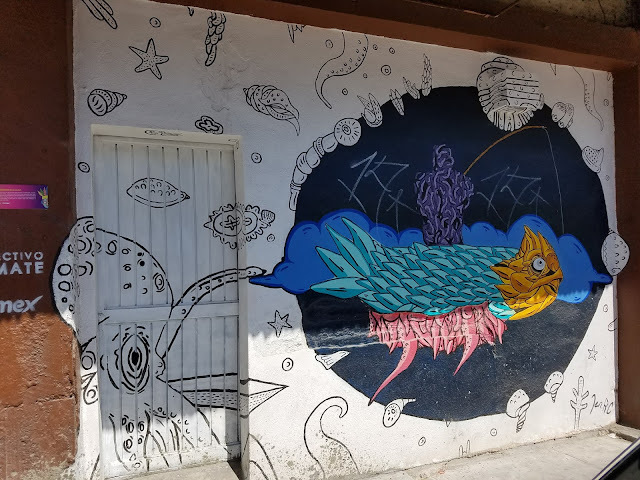 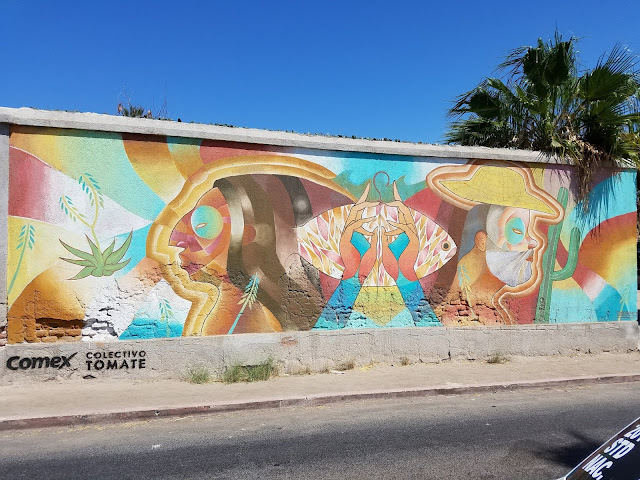 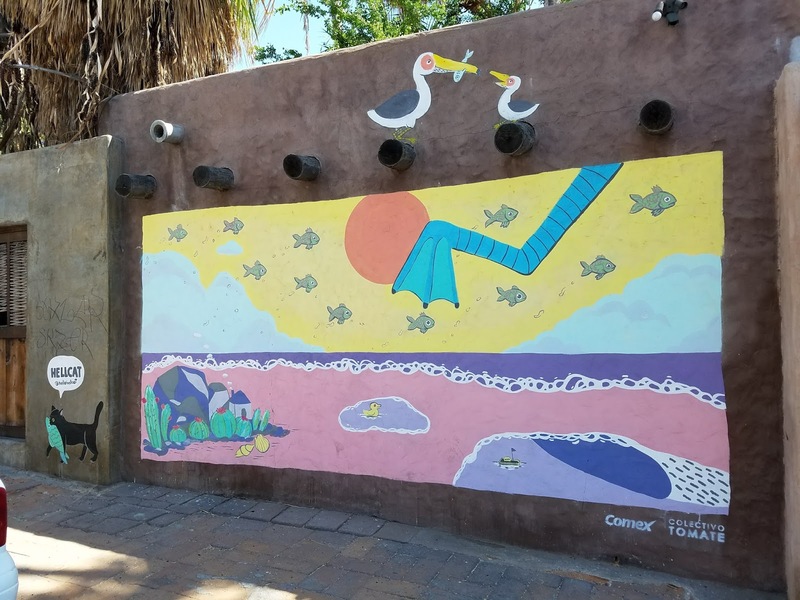 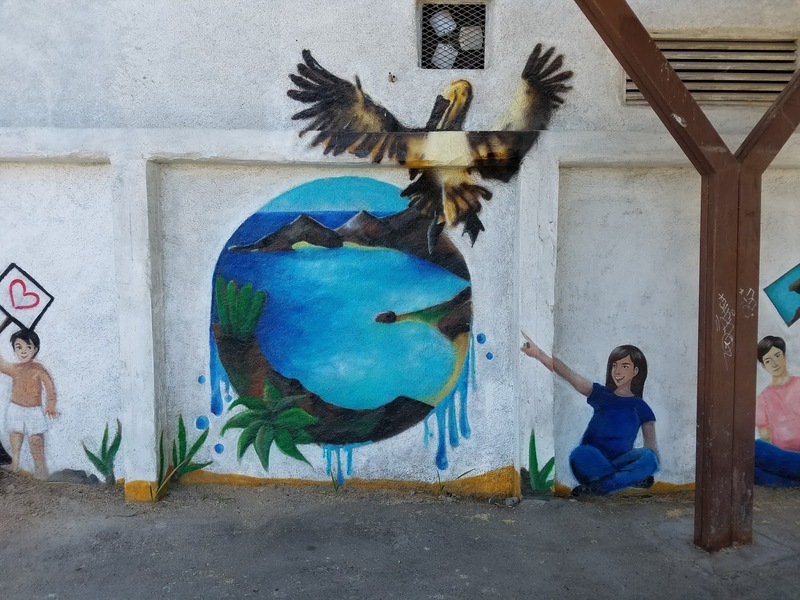 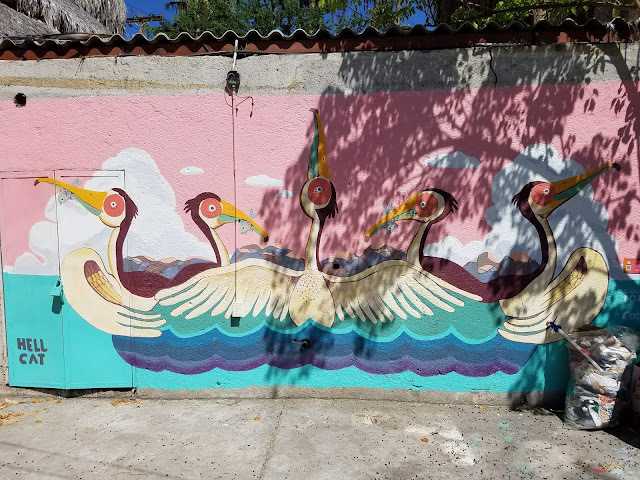 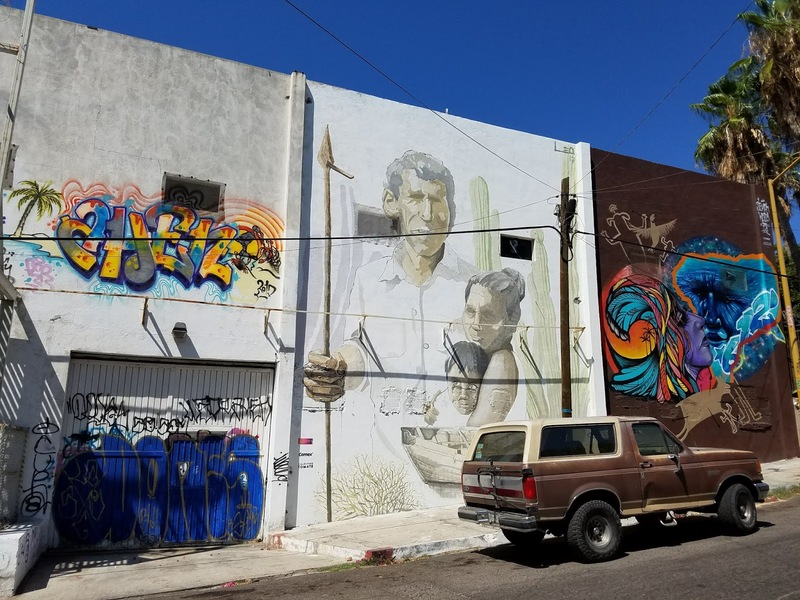 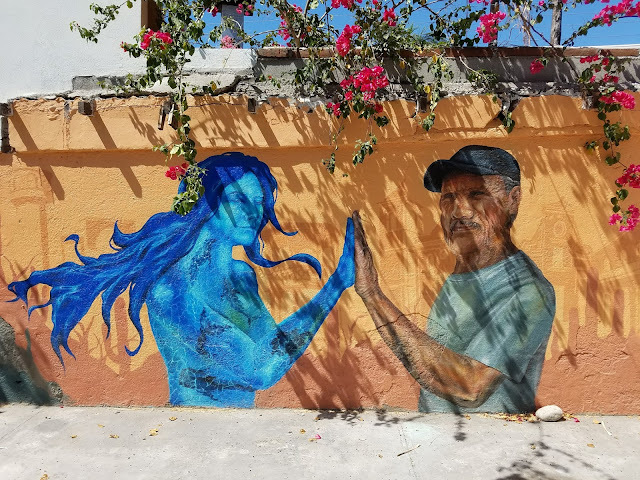 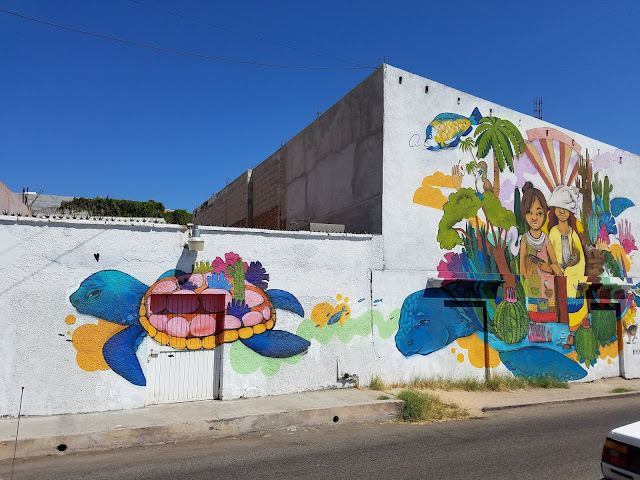 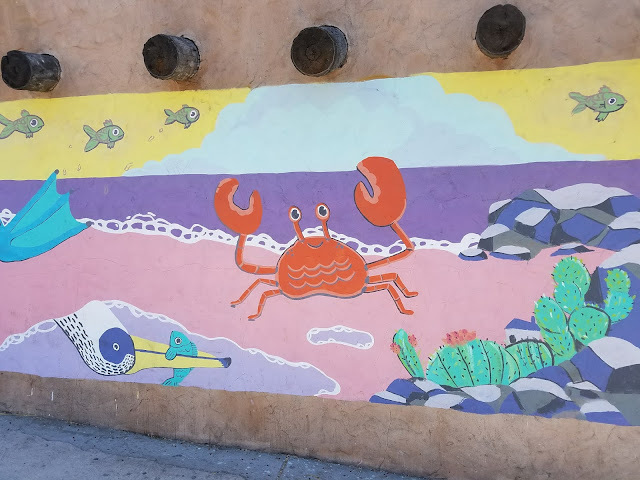 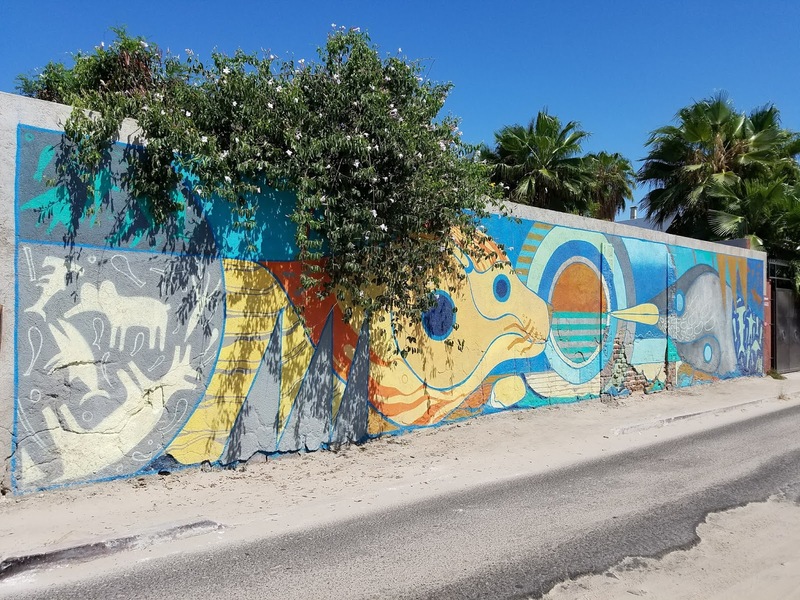 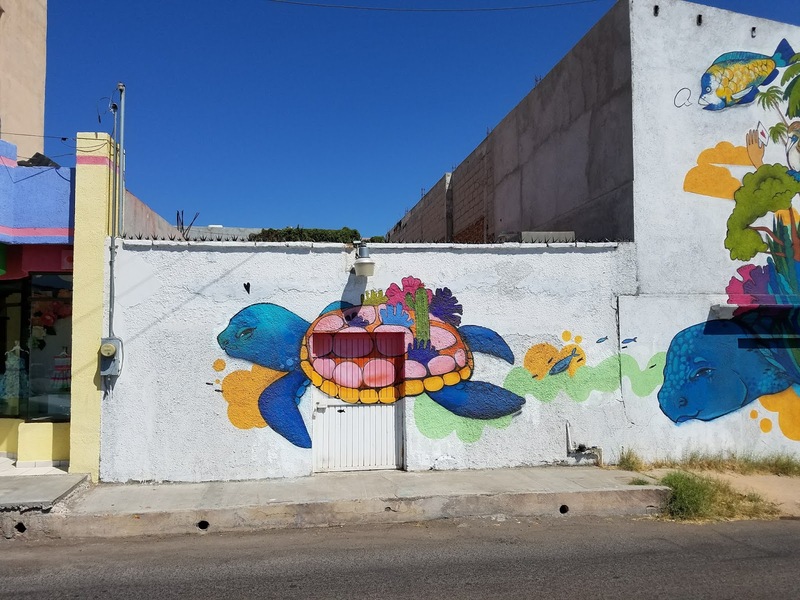 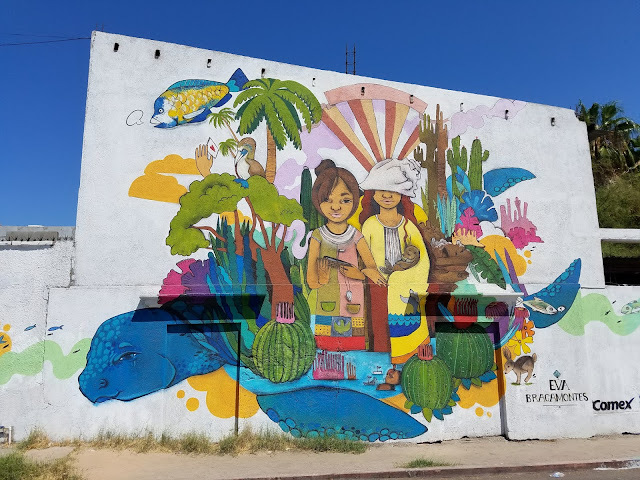 I get the feeling the people of La Paz have great pride about there connection to the Sea of Cortez and of their community. 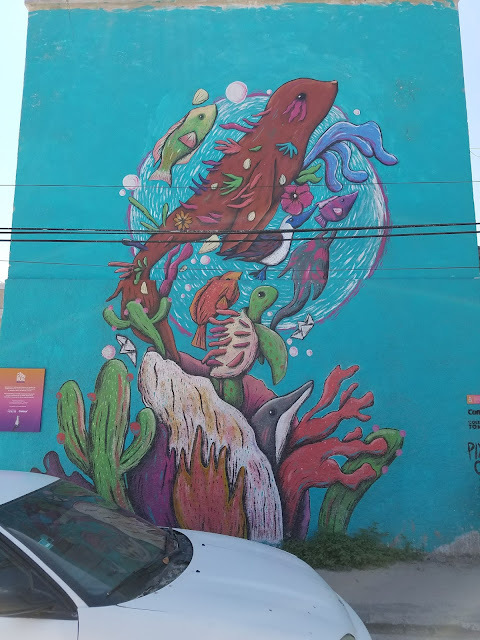 Hope you enjoy this collection. Hopefully it will grow as we find more in our adventures here.